Graves SJ, Conover H, Keiser K. DISCOVERing Online Data and Services. NASA Earth Science Technology Conference. 2004 . Keiser K, Ramachandran R, Rushing J, Conover H, Graves SJ. Distributed Services Technology for Earth Science Data Processing. 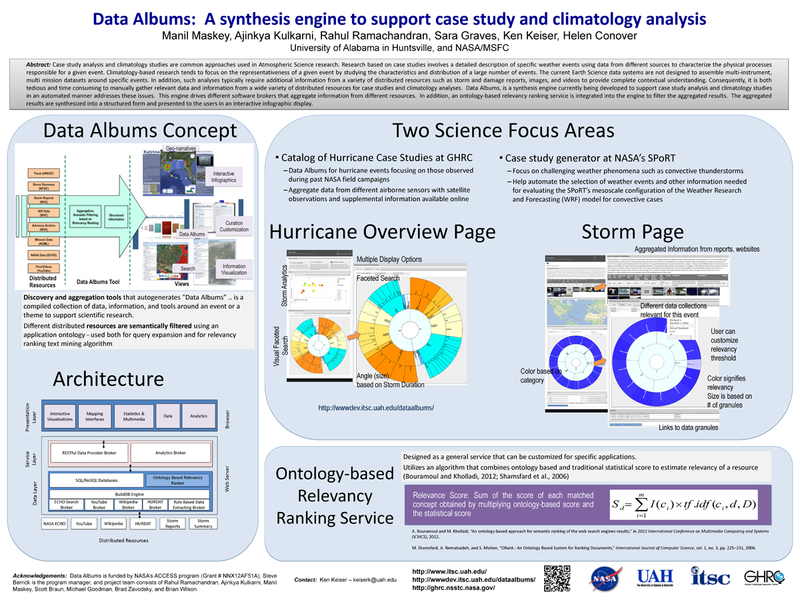 American Meteorological Society's (AMS) 19th International Conference on Interactive Information Processing Systems (IIPS) for Meteorology, Oceanography, and Hydrology. 2003 .